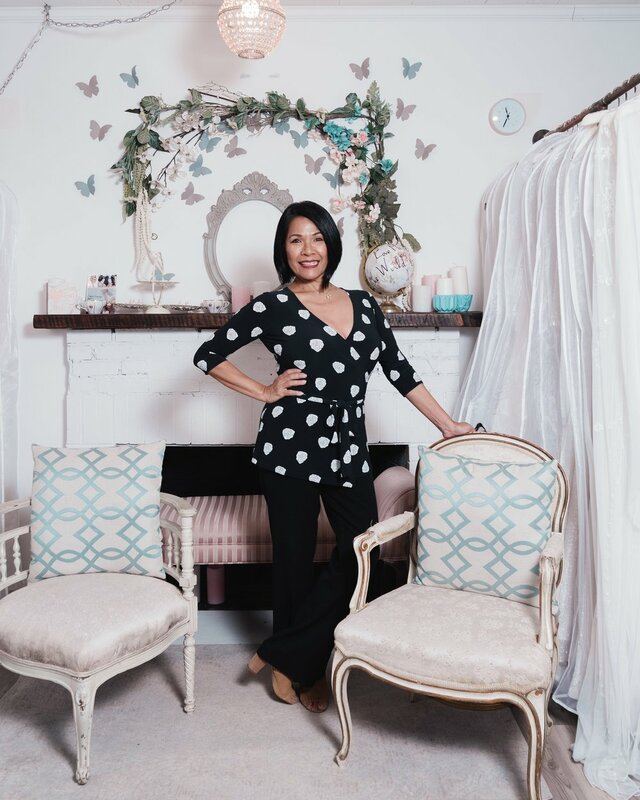 Rosalin and her sister, Van, opened up Rosalin's Bridal Boutique in 1986 and in 2017 they wanted to enjoy that retired life. So along came two more sisters, Veronica Ramos and Rosario Ulisse, as well as their mother, Rosita A Ramos! So with fresh new eyes and a common goal, we now bring you the refreshed Rosalin's Bridal Boutique by Mariposa Enterprise LLC! We wanted to continue what Rosalin and Van built and expand on it with new designs and technology. We believe strongly in the customer experience and above all that LOVE IS LOVE!! Our fabulous hostess with the mostest, Rosita A Ramos lives for the happiness of others! 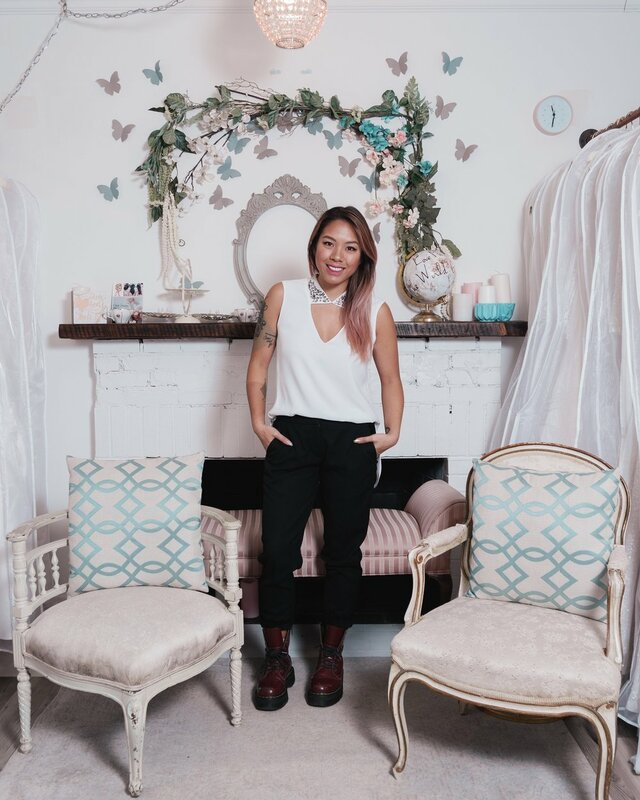 She'll make sure your experience at Rosalin's Bridal is as fun and enchanting as she is! The one that keeps the shop going! Her cutesy style can be found all over the boutique and loves to live up to her nickname "Rainbow". Veronica's an easy one to spot in the shop with her signature pink hair and tattoos. She uses her off-beat personality and eye for design to take care of all the branding and marketing. Ms Wanda is our loving and incredibly skillful seamstress! With a fine arts background and over 30 years of bridal dress experience, she brings a detailed eye to each dress with a mindfulness for every bride.